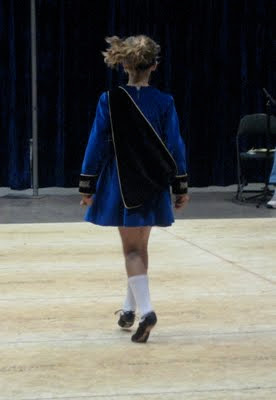 My daughter’s first Irish dance competition, called a Feis. In her level, she received two firsts and one third. We are very, very proud of her. 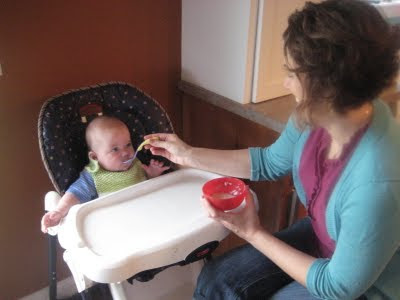 Guess who tried a little bit of cereal for the first time this week? Yum! 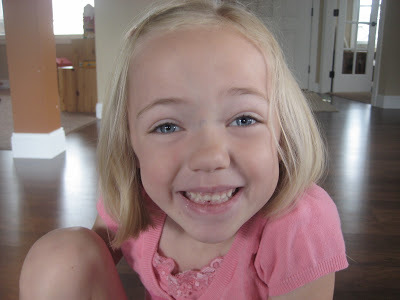 My 5yo lost her first tooth! It fell out while she was brushing her teeth. And yes, it went down the drain =( Thankfully, the tooth fairy still came, because this type of thing happens all of the time, you know! 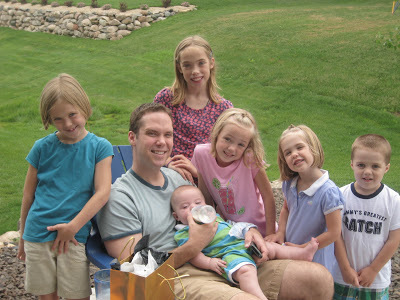 Happy 38th birthday to my husband! 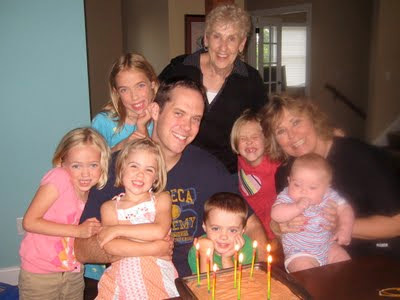 His birthday is on the first day of summer … always too close to Father’s Day! 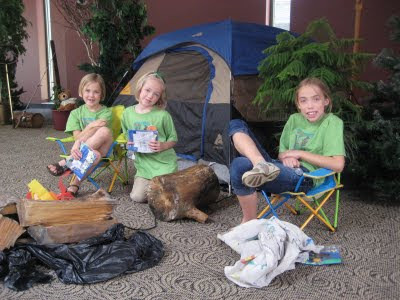 The Trio participated in VBS. They have used a Cat Chat program for the past two years, and it is excellent. 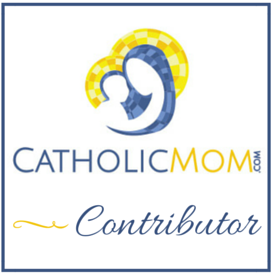 Very Catholic. Very fun. 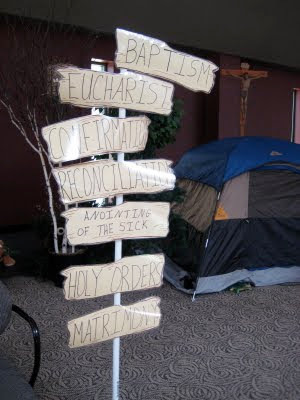 This week’s theme was a wilderness adventure through the sacraments. 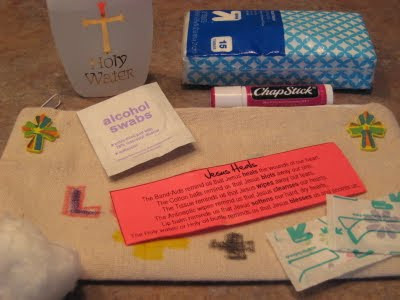 Every summer, VBS includes a service project. This year, the children collected food for the Franciscan Brothers of Peace’s food shelf. 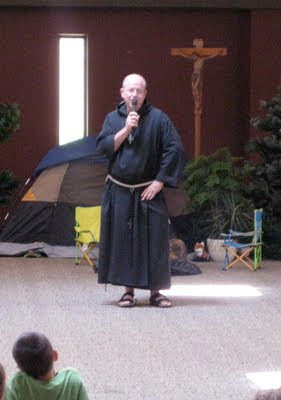 A brother came on the last day to talk about his vocation and to accept the food donation from the children. Our new associate pastor, who is also a brand new priest, also shared about his call to the priesthood. 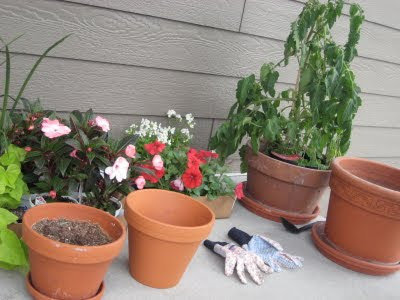 Today, I finally got around to planting my container gardens. This is just the before shot. I had to dash off to the grocery store before I could snap a few shots of everything in their pots. Oh well. Maybe next time. Faith says her friend looks really pretty! We are right by you right now! ( Baseball) Email me and perhaps we could swing by! 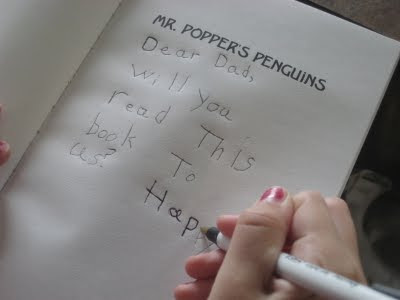 We LOVE Mr. Popper's Penguins. It's the cutest story, and my kids always get so tickled by the names of he penguins. :) Funny they saw the billboard for the movie and promptly said, "Mom, we don't want to see that. Hollywood will just mess it up. The book will always be better!"